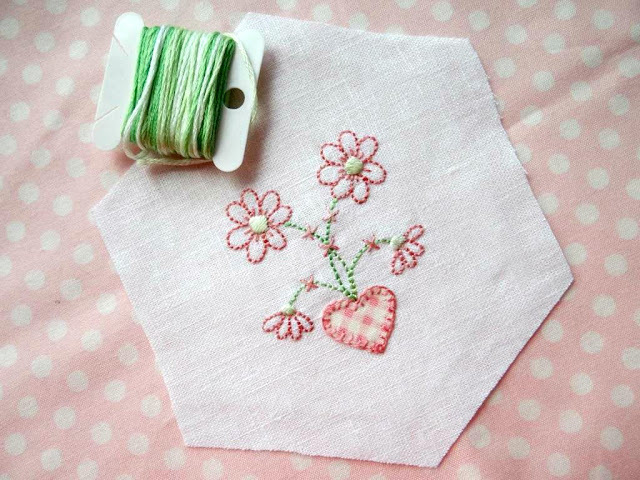 This little stitchery and tutorial was originally inside the March issue of my Stitchery Club. A cute envelope is a lovely 'gift wrap' for jewellery, gift cards or small items at Christmas or on special occasions, so I decided to share it as a free October download with anyone who'd like to make one or two or a lot. The pattern includes full instructions for the stitchery, sewing the hexagon cover, and bringing it all together as a fabric envelope. 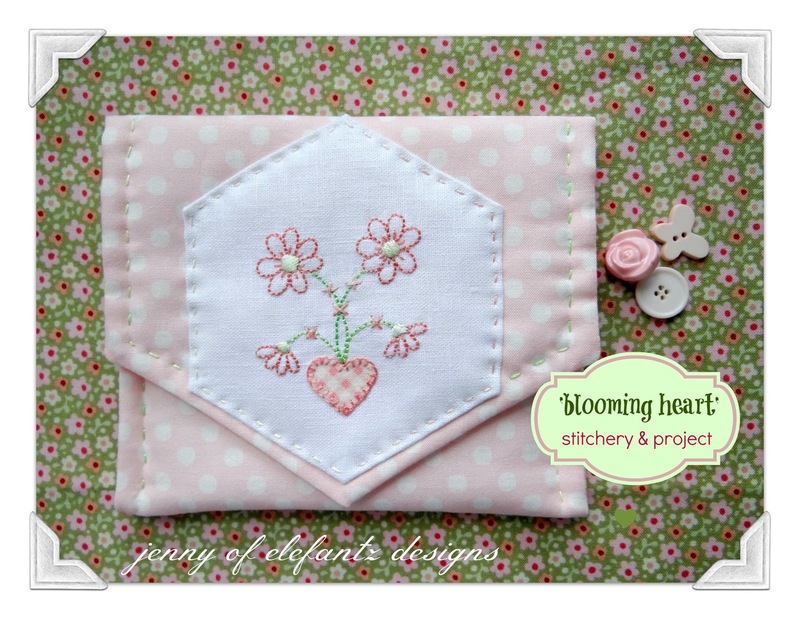 Think you'd enjoy making a "Blooming Heart" envelope? 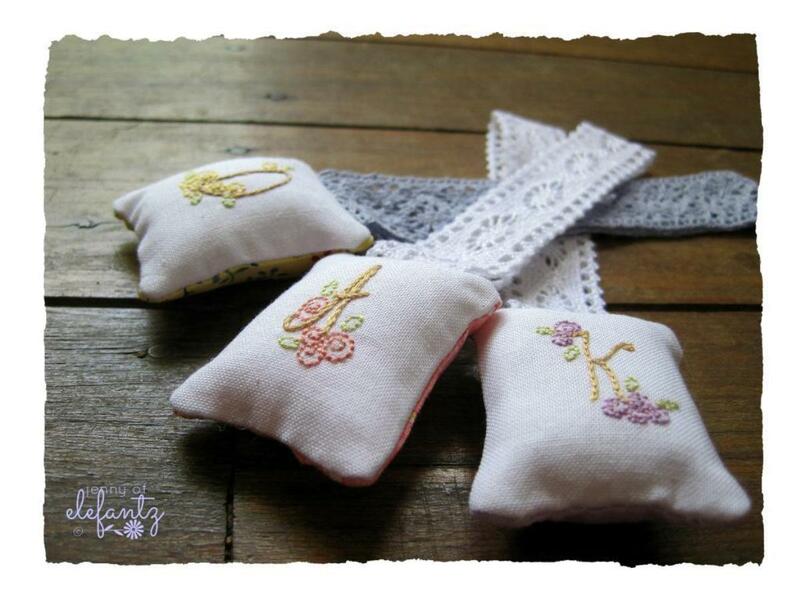 You could use any little stitchery on the cover, perhaps even alphabet letters like THIS set of 26 monograms I have in my shop? Download the Blooming Heart pattern as a free gift until December 31st 2016 HERE in my shop. You are awesome girl! Thankyou so much for this free project. I can certainly see myself making a few. Great idea. Hope all is well with you and your family. Angel hugs. amen to what they said!! LOL you always have such wonderful designs and your fabrics are to die for. So sweet! Thank you so much! Thank you Jenny. Your generosity is such a blessing. It inspires me to want to be a blessing to others. As always your pattern is beautiful, and I look forward to making it. May God's blessings abound to you, Mr E, and your lovely family. That's a great use for the heart pattern! I hope you are having a relaxing time off the computer.